This website will teach you what you need to know about Inflectarius magazinensis, also known as Mesodon magazinensis or Magazine Mountain shagreen. This snails is known to be at risk of extinction. 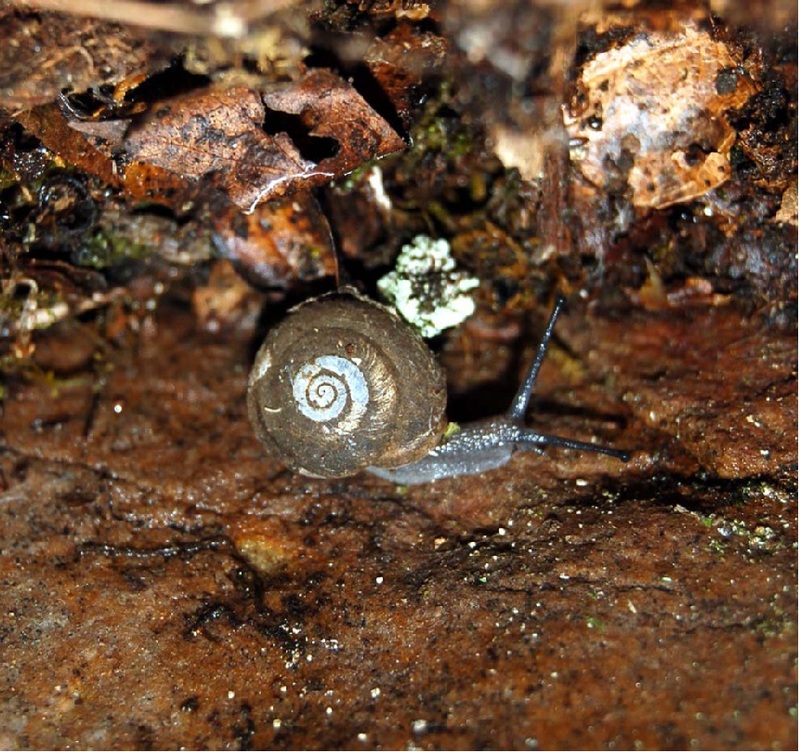 This terrestrial snail is classified as a "critically" endangered species and is being placed on the IUNC Red List of Threatened Species (IUNC, 2011). Its closest relatives are the I. inflectus and I. edentatus, which are all in the same genus of Inflectarius (Caldwell et al. 2009). Having hair on the shells of Gastropods is apparent in the families of Polygyridae, Helicadea and Hygromiidae. Since each of these families have hairs it would seem that they would be related but in fact these families are not closely related, which comes up with the idea that these hairs had to develop independently. Having these hairs on Gastropod shells can help reduce surface tension on the snail making it easier for the snail to move around. The hairs are hydrophobic so they work perfectly in places that are damp which is the favored environment of I. magazinensis (Wikipedia, 2012). To learn more about other organisms, visit Multiple Organisms.